Please click on the blue links below to read the answer to your question. Hi, I am interested in fitting HIDs to my [insert your vehicle model] but I couldnt find my vehicle in your list. Which HID kit fits my vehicle? 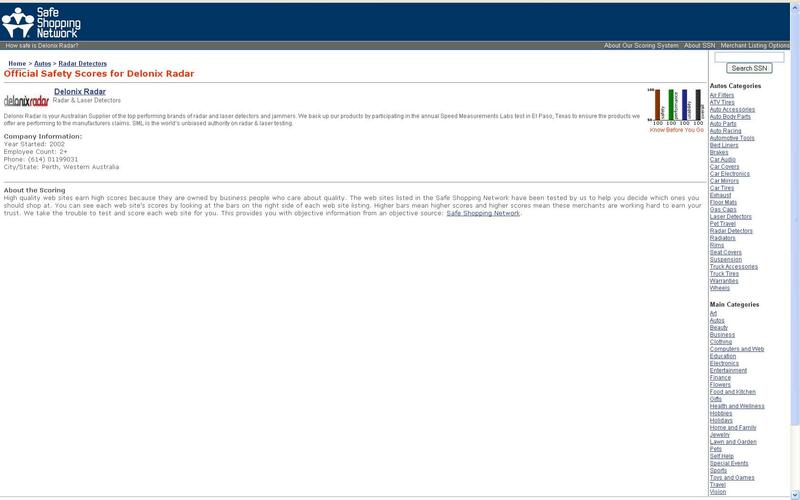 If we do not have your vehicle type listed on our site, then we don't have access to this info yet. Whilst we try and keep our information as up to date as possible, you can appreciate there are 1000's of cars, bike and truck models being updated frequently. To find what bulb your vehicle takes, please consult your vehicle's manual or booklet - OR telephone your service department and they will be able to advise you. If you are new to HID conversions, please follow our detailed step-by-step guide here. If you don't know off hand what type of bulbs your car / bike / truck requires, then please check your vehicle's booklet or manual (usually found in the glove box). Your booklet should tell you what type of replacement bulbs are required by your vehicle. On the rare occasion your booklet does NOT contain this information (or you do not have your vehicle booklet) then you'll need to contact your local service centre and ask the parts department what bulb your vehicle takes. Whilst we try and keep our information as up to date as possible, you can appreciate there are 1000's of cars, bike and truck models being updated frequently. What does CANBUS mean, and how do I know if my vehicle is CANBUS? A detailed article explaining what CANBUS means is in this article. If you still are not 100% sure if your vehicle uses CANBUS, and you can't telephone your service department, then just order the CANBUS kit anyway, because it will work on both types of vehicles (works on canbus and non-canbus). That way if you sell the car you can always put the old halogen kit back in and use the HID kit on your new car. What colour (kelvin rating) HID lights do you recommend? If you are mainly doing city driving, then we recommend 4300k. It's bright white with a hint of yellow. This is the colour used by the manufacturers when they put HID as standard in their cars. But if you are mainly doing open road / country driving, then the feedback we have received from a couple of truck drivers and a two professional Roo shooters is that 6000k (bright white with a hint of blue) tends to show up cattle / kangaroos better. Going over 6000k is illegal in most areas, and is not as bright as 4300 or 6000k which is why we don't recommmend over 6000k. I want to upgrade to HID for my car - will HID or higher wattage melt anything? A 35 watt H.I.D. bulb runs cooler than a standard 55 watt halogen bulb, so there will be no chance of a 35 watt HID system heat melting your headlights. Also, the bulbs we sell are high quality ones, that are specially made to reduce the U.V. (ulta violet) emissions that can cause headlight lens and covers to go a "milky" or "yellow" colour. A 55 watt HID bulb runs slightly hotter than a 55 watt halogen, but not as hot as a 100 - 130 watt halogen bulb. I have been running 55 watt HIDs in my (after market, plastic) headlights in the high beam (and 35 watt in the low beam) and have not had any issues with the heat. Even though (my own) aftermarket headlights had a "do not use HID bulbs" sticker on them, they have not melted, and the lens are as clear as the day I bought them. That is because these bulbs are high quality, UV treated. When you say that your HID kits use Philips patent globes, what do you mean by this? Does it mean that they are the actually globes I would receive if I was to purchase a Philips HID kit and i just get a different ballast? The bulbs in our kits (Philips patent licensed) are manufactured in China under license from Philips. Not only do Philips manufature bubls them selves, but they also license their design to other companies to manufacture on their behalf. So if you were to buy a genuine Philips bulb from Germany (actually they are manufactured in Holland - so I am told) it is not the same as ours, because our bulbs are manufactured in China. They have the same specs, but just not the same labour cost. Also, genuine Philips bulbs use a KET connector, whereas the Philips patent licensed bulbs we supply use the more common AMP style connector. We stopped selling Philips (made in Germany) bulbs because they were twice the price, yet produce the exact same light as these ones. Can't I just swap my halogen bulbs for HID bulbs? No - HID bulbs require a ballast (the thing that steps up the voltage from 12 or 24 volts up to 23,000 volts). Once your lights are going, the ballast regulates the voltage at around 80 volts. I have an existing system and i have a blown [bulb or ballast] - can I buy a replacement [bulb or ballast] from you and will it work with what i have already? Generally YES, so long as you have the same type of connectors (plugs). 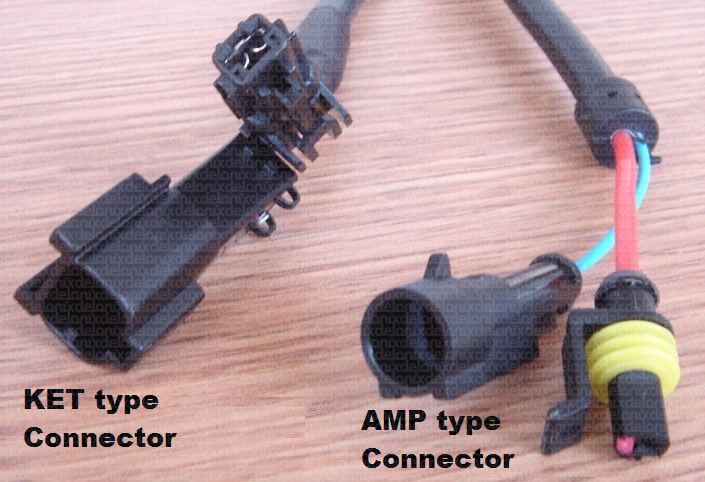 There are 3 main types of connectors with HID. Our products use the most common type of connector known as "AMP" connector. 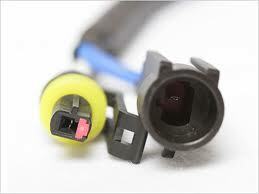 If your [bulb or ballast] has the same type of connector as the image below then our products will fit. You can buy spare bulbs and spare ballasts through our site. Are HID kits legal in [insert your state here]? This is a grey area that tends to give you different answers depending on which government official you speak to! Since we are not qualified to give legal advice, we recommend checking the laws in your local area or state. Can you provide any additional advice on fitting these to a [insert your vehicle here]? My Question is not already covered above....Can I contact you? in regards to HID ? Or call us on (08) 6110 8277.